Pigeons. Referred to as “flying rats”. I’ve often sat in Sheffield city centre watching the walking wounded pigeons limp and hop around, always on the look out for a scrap or two. I must admit to having a bit of a soft spot for the plucky little guys! 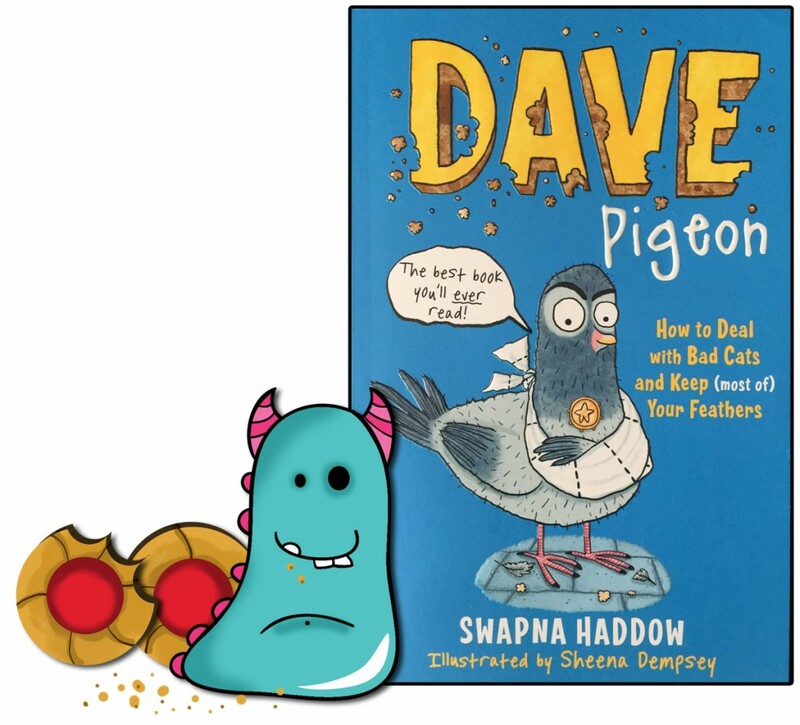 So, when I was offered the chance to read Dave Pigeon, written by Swapna Haddow, illustrated by Sheena Dempsy and published by Faber and Faber I was keen, just a little bit … just a LOT! However, I had an initial reservation! I am a cat lover, crazy cat lady, if you will. And so faced with a book titled: ‘Dave Pigeon: How to Deal with Bad Cats and Keep (most of) Your Feathers’ I was admittedly worried. Who would I side with? The lovable downtrodden underdog pigeons? Or the cute cuddly adorable cats? Dave Pigeon tells the tale of two pigeons actually, Dave and Skipper. One day, on one of their regular croissant heists, Dave is attacked by an evil (yes I said it, evil) cat! Poor injured Dave is rescued by the cat’s owner and taken to live in her shed to recover. However, the shed proves not be quite good enough for this duo. After hearing of the joys of the human lady’s home from Tinkles the budgie. Kitted out with warmth, swings and best of all jam filled biscuits, they hatch a (well multiple) dastardly plans to get rid of the cat and get into the house! 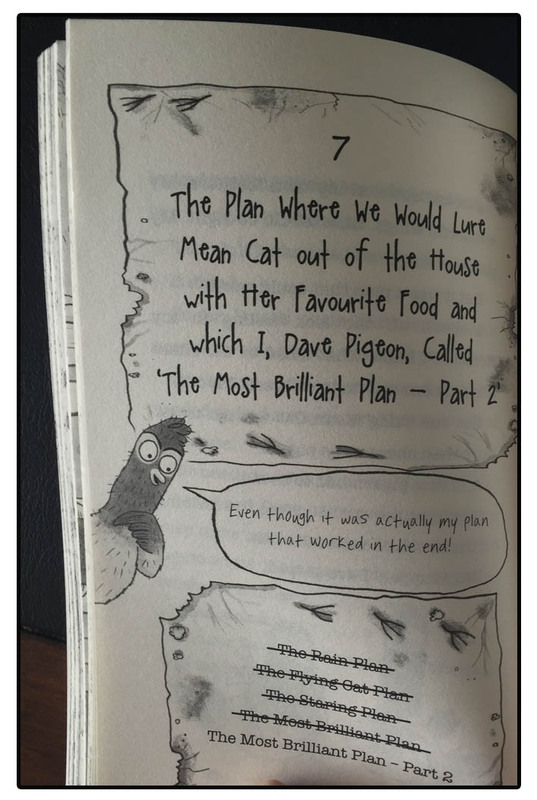 Dave Pigeon was not written by Swapna! Don’t be fooled by the cover page! She just lent the pigeons her shed, where Skipper typed the story on her old typewriter, so as you can imagine, this book is pretty hilarious! Pigeons are not known for their story telling or authoring skills, and throughout this wonderful book we are treated to little asides where the pigeons argue about how to best tell their tale! Of course, we know Swapna really wrote this story, and what a wonderful job she did. I genuinely laughed out loud while reading it. I confess, I’m not made of stone, but to get a huge guffaw as opposed to an internal chuckle takes some doing, but it happened several times. Each plan the pigeons undertake is as crazy as the last and always entertaining. This is just brilliantly written. Swapna has achieved the perfect balance of when to use words more sparingly and let the illustrations do the talking and when to let the pigeons do the talking. There is plenty of text for young readers to sink their teeth into, but it’s broken up beautifully by the drawings throughout. Swapna Haddow’s writing is truly joyful, but the book is made something else completely by the addition of numerous illustrations from Sheena Dempsy. 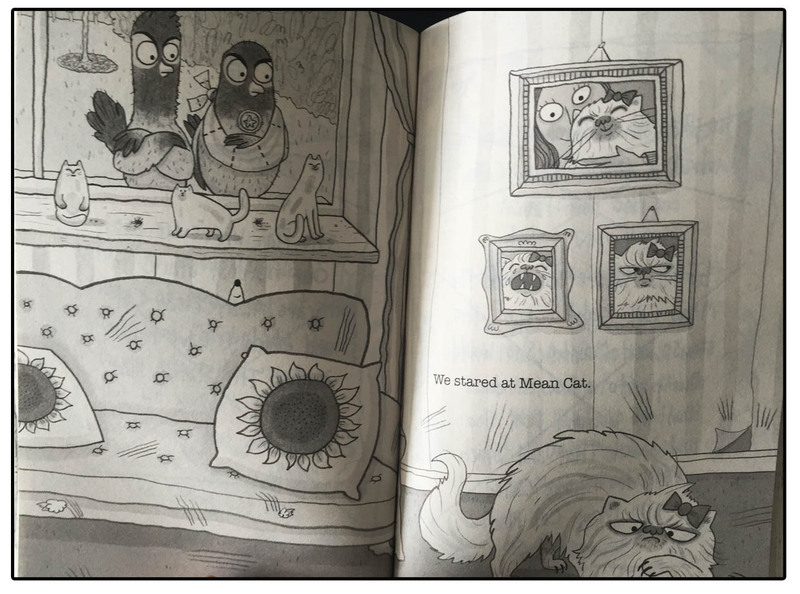 Sheena has not only captured perfectly the individual characters of Dave and Skipper, managed to make the Mean Cat look very evil but she has set each scene so perfectly in tune with Shapna’s comedy timing to add even more (if it was possible) hilarity to the book. I cannot find fault. I won’t tell you what happens in the story as I think you need to buy it, read it and love it! But, just so you know, it’s crazy, funny, quite unexpected and a little bit cliff-hangery! So watch out for Dave Pigeon 2, due for release next year. And as for my love of cats. Well … I am now an official crazy pigeon lady. Dave Pigeon is available to borrow or buy from all good libraries and bookshops. 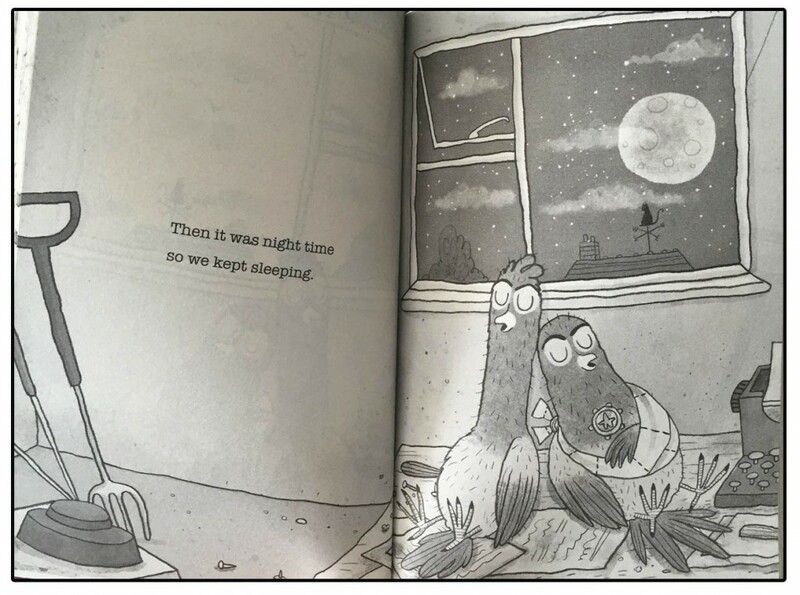 Thank you for reading this feathery Book Monster review.